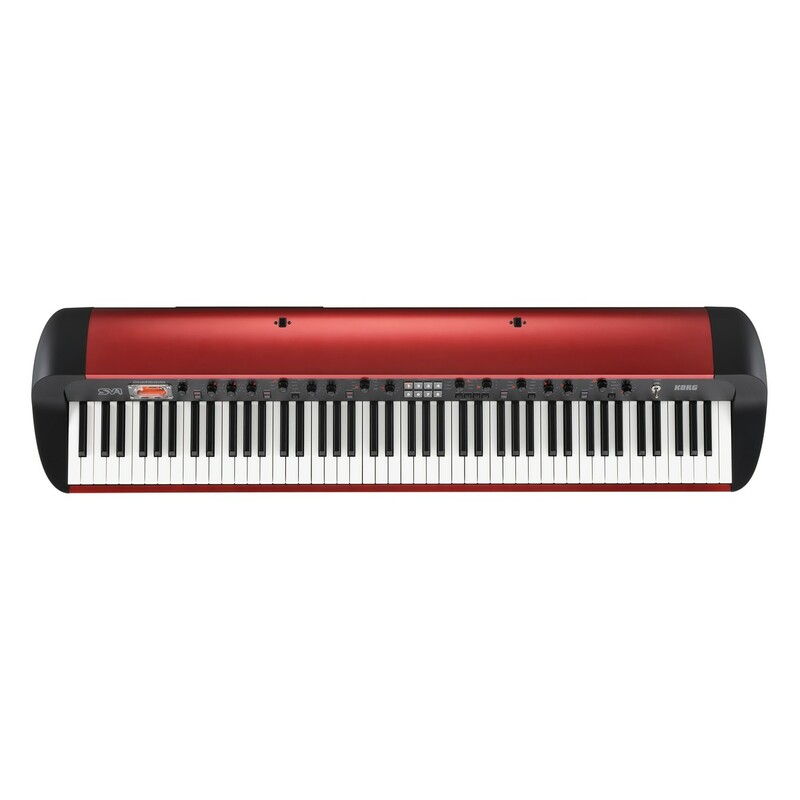 The Korg SV-1 88 Note Stage Vintage Piano now comes in a striking, vibrant metallic red. Sporting lush curves and a glamorous body shape, this enticing new colour SV-1 also features a black operating panel for easy reading and operation. This limited run of KORG SV-1 utilises the intelligent and powerful features and specifications of the black SV-1, including a dynamic and versatile selection of sounds, real weighted hammer action keys, and a luscious array of built-in reverbs and delays. In this beautiful limited edition colour scheme with accessible operation panel and unmatched attention to detail, the KORG SV-1 is an undeniably powerful instrument. 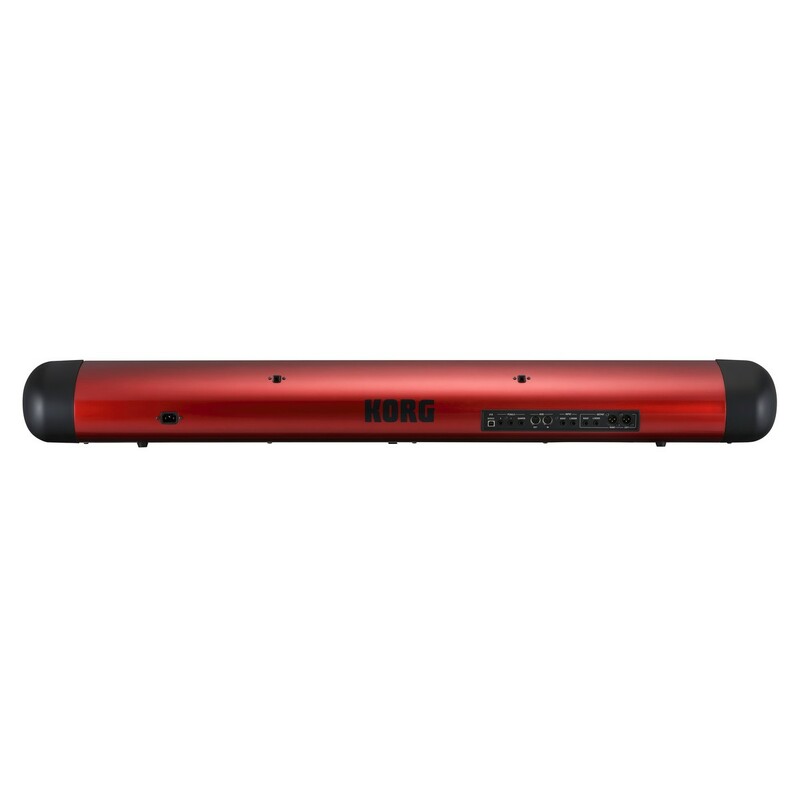 The Korg SV-1 Metallic Red features a choice of 36 sounds, including electric pianos, acoustic pianos, organs, strings and synth. Each category of instrument begins with the essential classics and then moves beyond what other products offer, going into some nostalgic and unique instruments. 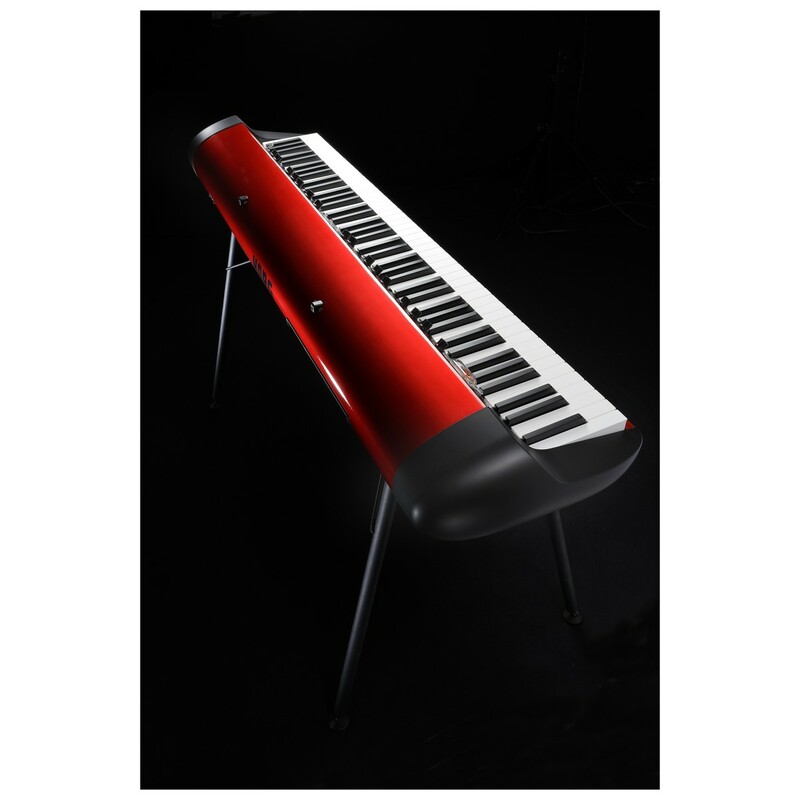 These include German and Japanese grand piano giants, seven-way velocity swtiched "tine" electric piano and even tape-based analog strings. The SV-1's front panel ensures quick accessibility on all essential controls, without the confusion of menus. Rotary knobs have illuminated LED's to show the position of the knob, which can be pressed to restore the original setting. If you want to save and quickly call up settings, use the SV-1's eight car-radio style buttons to use your eight saved favourites. To save a setting, you simply adjust the controls to your preferred settings, then press and hold one of the Favourites buttons; when the button flashes, press it again and the settings are now stored. Easy. CPU: Apple G4 1.4GHz, or more (Support to Intel Mac), Apple G5 or more than Core Duo is recommended.